I recently overheard a close friend lamenting about her impending payment for wedding flowers. No matter how you shake it, wedding flowers are expensive. I am a sucker for flowers in any capacity and if I had my way I would have my non-existent wedding dress made out of fresh cut flowers. Does Preston Bailey‘s bridal masterpiece ring a bell? 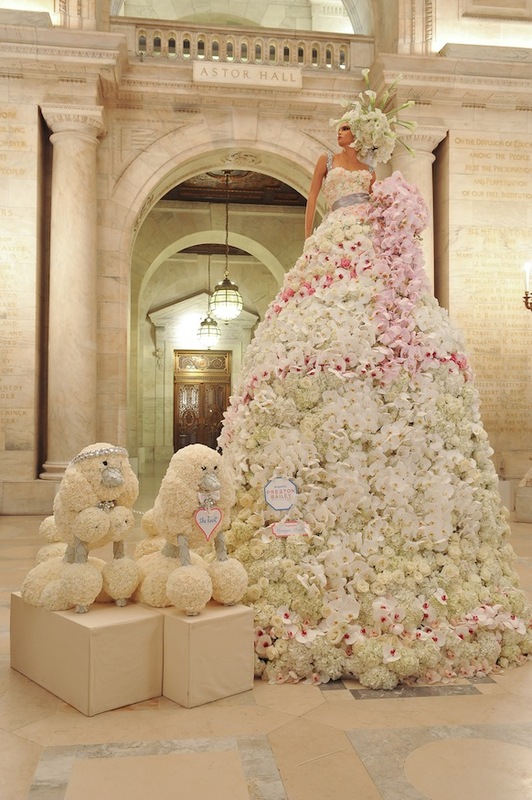 Most brides don’t have budgets for eccentric wedding luxuries like dresses made out of flowers and many brides don’t have the funds to include flowers in all details of their weddings. The key to strategically using wedding flowers is getting creative with alternate decor elements. 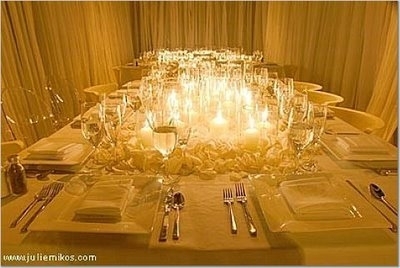 Although it’s no secret, candles are an amazing way to set the tone of a wedding. Candles illuminate a room in a beautiful way and cast a soft, flattering glow on guests. Centerpieces made entirely out of votives and glass cylinders with candles are a great, cost-effective alternative to floral centerpieces. 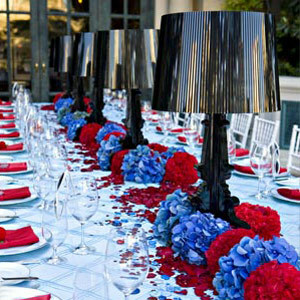 Another great alternative is using inexpensive lamps or table chandeliers as the focal point of reception tables. You can purchase lamps at a deep discount from stores like HomeGoods, TJ Maxx, Marshalls and Target. 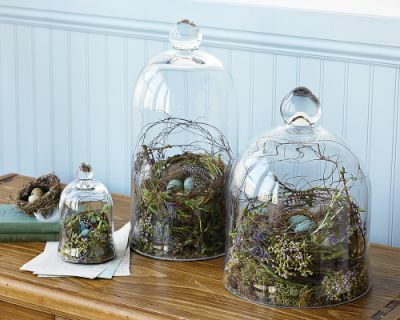 Glass cylinders filled with seasonal wares including fruit, dried flowers, LED lights and branches can also serve as an inexpensive alternative to standard flower centerpieces. Similar to lamps, you can pick up interesting vases and glass apothecary jars from most home stores. 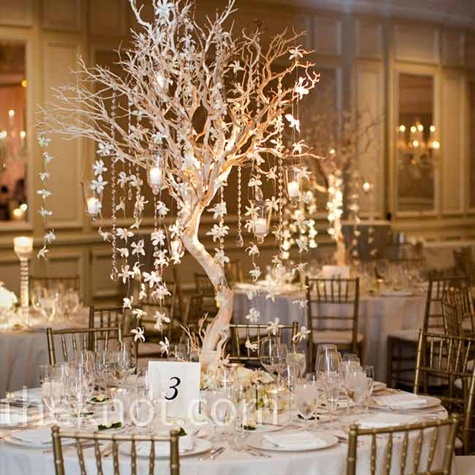 One of my favorite looks is incorporating petrified Manzanita tree branches into centerpieces. The branches make a strong statement but won’t hit your wallet as hard as a full floral centerpiece. If you love the look of petals on your ceremony runner or scattered throughout your wedding, grab your girlfriends and host a mini petal party. 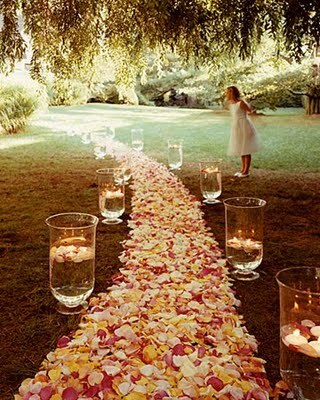 Florsits can charge upwards of $500 for rose petals to be included in your wedding floral package. If you forgo a pro and buy roses in bulk from a local wholesaler or website, it only takes an hour or two to pick your petals to enhance your decor. You will spend a fraction of the cost a that a florist charges and have a hand in designing your own decor. As a reminder, plan ahead to store fresh rose petals in a plastic bag in a cool, dry location. Well preserved petals will typically last 72 hours. If you order freeze-dried rose petals, keep them out of the refrigerator as well as extreme heat. Happy designing!